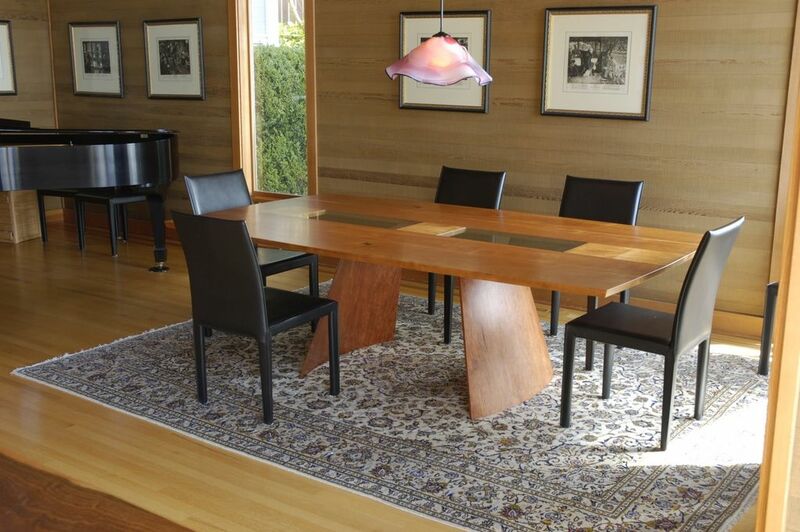 This dining table of Hank's is stream- lined, dynamic and elegant. The base is made with curved, coupered, tapered panels. Dimensions: Shown at 5' x 8' x 30" this table can be ordered in custom sizes.